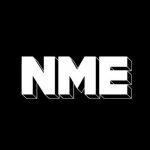 This week in the NME office we’ve been thinking about artists going solo – both high profile and lower, but equally as worthy of your attention. Which logically leads me onto the subject’s of this list – underrated solo albums. Here are five of the best. We couldn’t kick off this list with anyone other than Mr Ronald Vannucci of The Killers. We’ve played his ‘Big Talk’ album in the office rather a lot of times, and retain that it’s a crime on a par with necrophilia that he’s not gone platinum three times already. Looking further back, another solo gem that should have been buffed shinier by the public is Maureen Tucker’s 1989 effort ‘Life In Exile After Abdication’. Fresh from life as a full-time mother working at Wal-Mart, The Velvet Underground drummer re-surfaced in with this brilliant album – aided by some famous friends (Sonic Youth, Daniel Johnston, Lou Reed, Half Japanese) it was filled with ace songs about living on the bread-line (‘Spam Again’), elegies to lost friends (‘Andy’) and surprisingly affecting covers (‘Pale Blue Eyes’). One of only two solo albums put together by The Gun Club’s legendary – and legendarily destructive – singer, this slice of twisted Americana is a mildly more accessible than any of his band’s albums, and brilliant. The production has dated slightly, but hearing him croon is as satisfying as it is surprising. In 1970 the sticksman went country and western for his second effort after heading to Nashville. Sounds like an amazing prospect, doesn’t it. Damn right. That’s five – and your selections? Fire your thoughts and links at us on Facebook and Twitter.